Furniture Face-Lift — Marroquin Custom Upholstery, Inc. The Furniture Face-Lift, Make everything new again. Who doesn't wish they could go back in time and be young again? When it comes to furniture, some pieces just need to revived back to their original state to showcase their true original beauty. 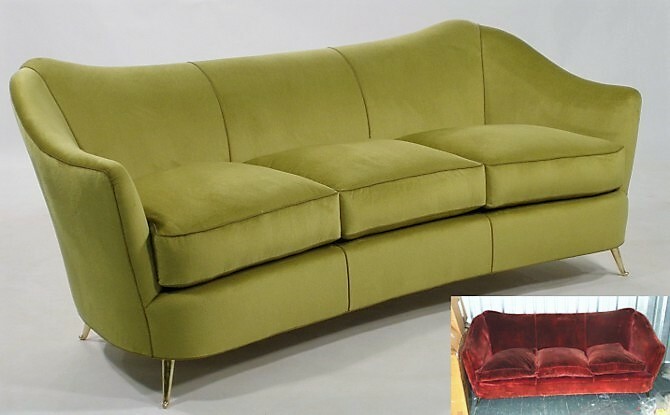 At Marroquin Custom Upholstery, we believe in reupholstering an item to look and feel as it were almost brand new. We focus on every stitch, seam, pleat & skirt to ensure that every single detail takes center stage to exceed your expectations. Unlike other upholsters, we actually recondition the furniture's interior before fabric is applied. For some pieces, this may require rebuilding the frame, tightening the original coils/springs, touching up wood stains, adding a down/feather fill and fixing other minor details. Once the reupholstery process is complete, you will hardly remember what it used to look like. The results will amaze you!